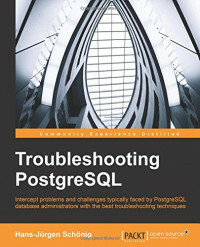 If you are a database administrator looking for solutions to common PostgreSQL problems, this is the book for you. The book is suitable for people with intermediate and professional expertise. PostgreSQL is a powerful, open source, object-relational database system. PostgreSQL offers many advantages for your company or business over other database systems. This book is your practical guide to understanding the advanced techniques used to handle complex data and methods to solve issues that you might face while working with PostgreSQL. We will start with discussing the issues that arise at the time of setting up PostgreSQL. The next step will be to decide which data types will be most suitable to the task at hand and optimize performance using the right ones. We will understand how to deal with transaction locks, fuzzy matches, cursors, joins, and so on. Know the warning signs to look for, and how to avoid the most common issues before they even happen. In addition to that, specific high-level topics such as replication and Point-In-Time-Recovery will be discussed. The entire book is based on PostgreSQL 9.4 and contains up-to-date information. hours per year of on-the-job training, or a total of 8000 hours.